The Chimera is delighted to be now representing Northern England’s finest modern painters and one of Great Britain’s most successsful. Geoffrey Key was born and educated in Manchester, in the North West of England. The decades of his professional career as an artist thus far encompass a phenomenal body of work and a serious following amongst collectors. His earliest and self evident abilities led to a sound academic training from the beginning. Amongst his tutors were leading figures of the artistic lineage of British painting and sculpture, and he built with energy and vision upon this legacy. His first post-academic aim, achieved through concentrated work on a single landscape subject, was to divest himself of all but the creative toolkit of his training. 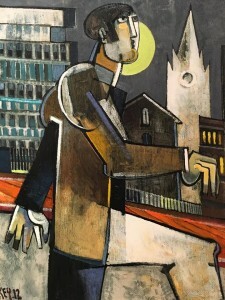 Now in his sixth decade as an artist, Geoffrey Key’s painting style is instantly recognisable; almost a unique blend of early twentieth century avant garde with modern twenty-first century observation. His colour palette has developed over time, from muted tones, to the vibrant use of colour he is now so well known for. Geoffrey Key has had numerous solo exhibitions and is regarded as one of the most important and striking artists working in the UK today. 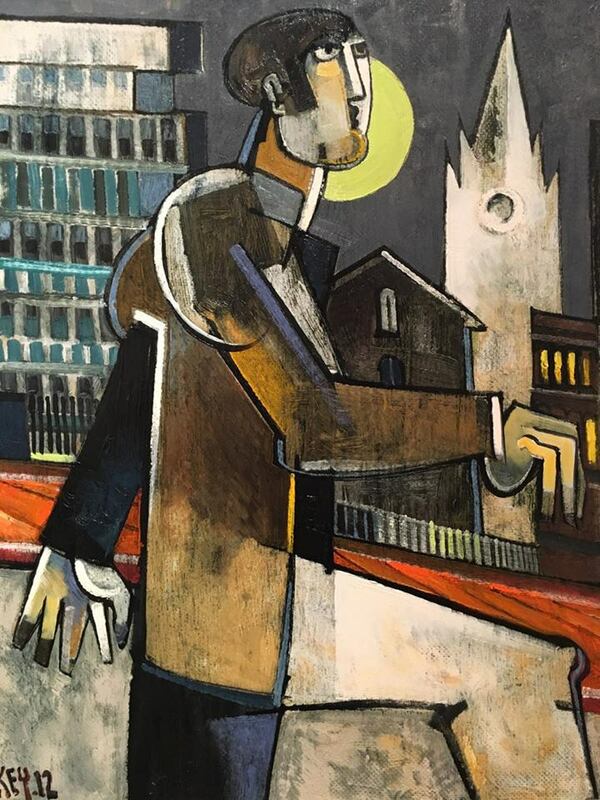 Geoffrey Key’s works are held in international private collections, and can be seen in many UK public collections, including The Manchester Art Gallery, Salford Art Gallery, National Art Library and the Victoria and Albert Museum.